Young Abigail suffers greatly from the way she is being raised by her mother, for whom a woman's only place is in the kitchen. At the same time, her father's dedicated fight for freedom also ignites in her a passion for the American Revolution. When news of her father's death reaches her, she has a falling out with her mother. Soon after, Abigail goes on her way to fight for freedom and independence, like her father had done. On the way, she encounters the young English deserter Edward, who has come to the realization that he went to war for the wrong ideals and who also wants to join the Continental Army. Soon, the two discover their true feelings for each other as the turmoil of the American Revolutionary War begins for them a time of uncertainty, of hope and of terror. Is the burning torch of their love strong enough to withstand the storm? Young Abigail suffers greatly from the way she is being raised by her mother, for whom a woman's only place is in the kitchen. 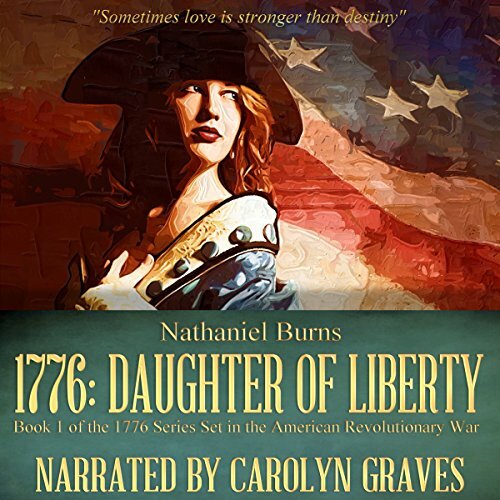 At the same time, her father's dedicated fight for freedom also ignites in her a passion for the American Revolution. When news of her father's death reaches her, she has a falling out with her mother. Soon after, Abigail goes on her way to fight for freedom and independence, like her father had done. On the way, she encounters the young English deserter Edward, who has come to the realization that he went to war for the wrong ideals.